Pink Ribbon Riders Minnesota Snow Run Event. The Pink Ribbon Riders is a non-profit organization that provides direct financial assistance to men and women that are diagnosed with breast cancer. The Snow Run Tour events are the main fundraising event and are open to both men and women. The event includes Friday rider check-in, welcome party and silent auction on Saturday. 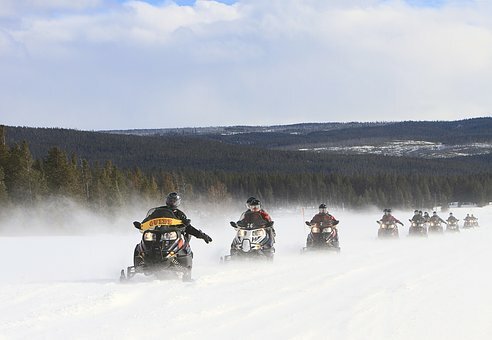 Organized snowmobile ride from 9 a.m.– 5 p.m. with a lunch. Dinner banquet included. Ride is 60 to 100-plus miles based on riding groups. Groups are arranged by rider ability and have a trail leader; each rider group is broken into 10-15 riders. Event is based out of Grand Ely Lodge. For more info, www.pinkribbonriders.com.